Blayne R. Liparoto, P.T., CPAVE, CWcHP, owner/director of the clinic and licensed provider of WorkSTEPS. Her B.S. In Physical Therapy was from Texas Woman’s University, in 1984. Following graduation she began her career in the field of physical therapy working with neurologic and orthopedic cases while consulting in spine and sports rehabilitation. 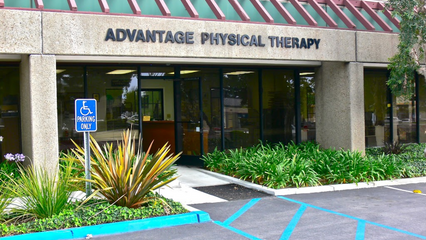 Prior to relocating to California, Ms. Liparoto worked with Mr. Feeler (the developer and founder of WorkSTEPS) at Odessa Physical Therapy during the early stages of employment screening in industrial services. With clinical experience in out-patient hospitals and private practice, she offered an extensive background in orthopedic manual therapy and neurologic treatment of the spine and sports care, golf specific performance enhancement, obstetrical and gynecological diagnoses, chronic pelvic pain, exercise, chronic pain management, TMJ and pediatrics. In addition, she has been an educator of her peers in the principal techniques for examination and treatment of the orthopedic and sports patients, and Woman’s Health Issues. Danielle graduated with her Bachelors of Science in Exercise Science from Northern Arizona University. She received her Doctorate in Physical therapy from the University of St. Augustine for Health Sciences in San Diego with an emphasis in Manual therapy and Orthopedics. Danielle is a Ventura County local and has recently moved back to the area; as she is passionate about helping the community live up to their potential. During her free time she enjoys playing all sports, but soccer and snow skiing are her forte.